Fall is full of flavors in our home, most of them orange and pumpkin-y in character; so, it’s only a matter of time before something predictably spicy accompanies that seasonal delight. My lovely friend, who shares my affinity for all things autumn and edible, first introduced me to these little bites of goodness and I have made them and subsequently devoured them, more times then I care to admit to since that day. 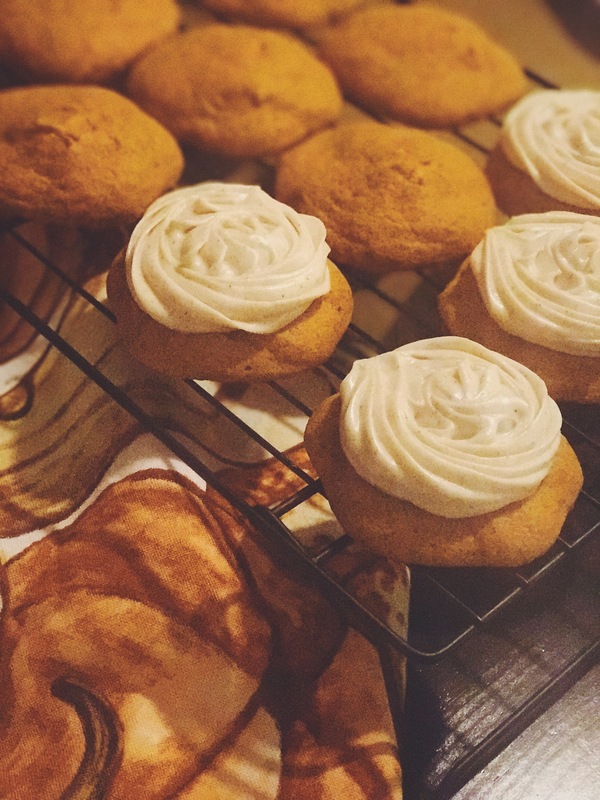 They are soft , fluffy, cakey in texture and delightfully spicy- making them a dangerously delicious combination in the holiday cookie department. You’ve been warned-now grab your apron, channel Martha, and lets bake! In stand mixer, with paddle attachment, combine sugar and butter until creamed and fluffy. Once completely cooled, frost tops liberally by either piping the buttercream onto the cookies or slathering them generously with a spatula. They taste scrumptious regardless~trust me! When the crisp fall air descends upon us, and the calendar gives way to the autumnal days of September, the loaf pans and pumpkin spices make their grand entrance round here. The mixer is humming and the babe is at my feet, giving these sweet days all the more tender feelings then the years before. I can almost imagine myself in a little white farmhouse, set perfectly among the rolling prairie. Chickens clucking in the yard, orange and red foliage waving blissfully in the breeze outside my window, while the wood floors beneath my feet creek from age and the changing temperatures; scents of fall filling the space within… Dreams made up almost entirely of Chip and JoJo’s Fixer Upper’s and my southern upbringing; dreams that will remain thoughtful imaginings for now. 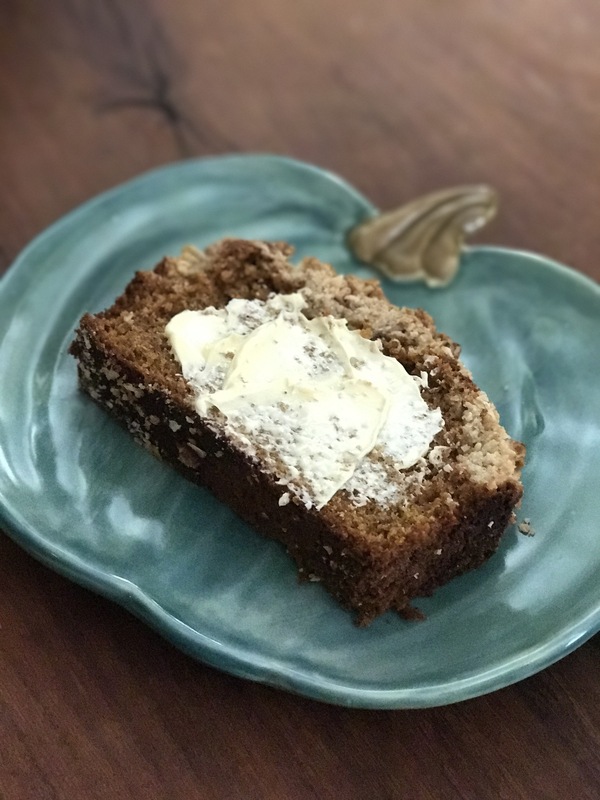 Luckily, my tastbuds need not only consider the flavors of fall, but get to participate in a full on sampling, beginning with the traditional loaf of pumpkin bread. This recipe has quickly become a family favorite and may I venture to say, is a no fail. Its moist, and ever so pleasing to the palate, topped with a delightful crumble, and seasoned with the most perfect proportion of spices. If you lovelies are craving the flavors of fall, this little ensemble will deliver. Disclaimer: best enjoyed with loved ones and a cuppa-something warm. Enjoy while the scent is fresh and the bread is warm; preferably with a pad of melting butter smeared generously over the top. Happy Baking! It’s finally here, the loveliest, most darling season of them all…fall! I get positively giddy at the word. For me the season represents all the beautiful things; crisp, delightful, scrumptious, cozy things! Working at a farm, more specifically this time of year, a bountiful pumpkin patch, the spirit of autumn is not in short supply, my coworkers are equally as ecstatic, and my friends have come to appreciate my passion, if they did not already possess their own zeal from the beginning of our acquaintance. At home, we all look forward to the shift in mentality that the season ushers in. 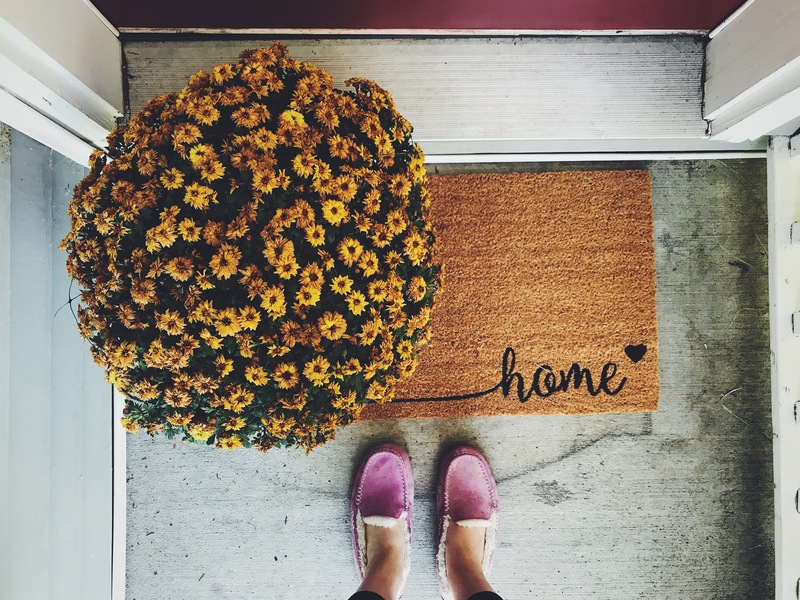 The busy summer period is shelfed and logged in our memories, as our hearts and minds make the transition to a softer, more comfortable time of the year. Evenings at home again become the “new normal” and an appreciation for all things ordinary and simple is revived. 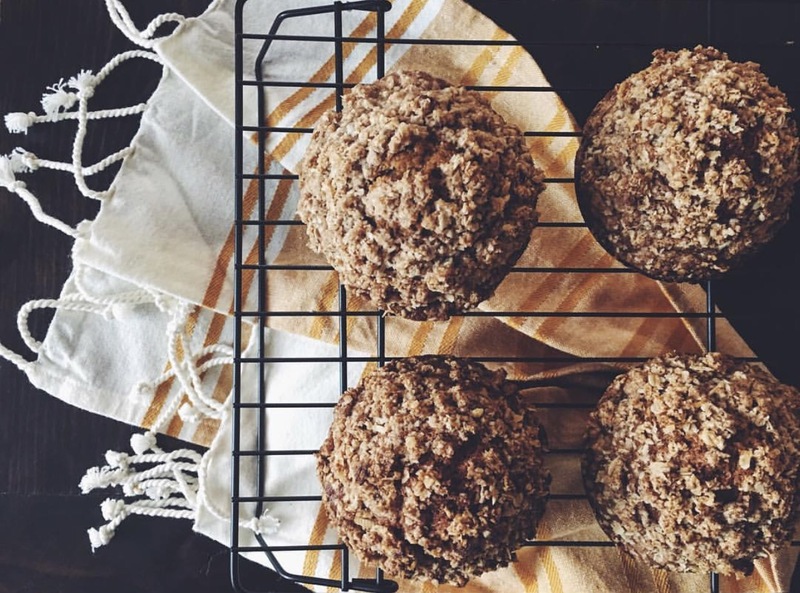 A hot beverage is usually close at hand, and something drool-worthy is always baking or bubbling away on the stovetop, tempting our senses. Most of our moments are unplanned this time of year, as that seems to be what we all desire, a slowing in pace and less restrictive schedule to just take time and “be”. However, while not knowing has it charms, there is always a list of autumnal delights that we plan to enjoy together while the season beckons for our participation; and this year we will add a few more bit & pieces to our traditions as our little man begins his exploration of the fall things. putting our phones down and recording these sweet days and happy bits of togetherness in our hearts.